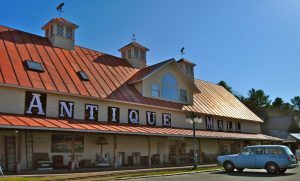 The Vermont Antique Mall is an often honored and nationally recognized Antique Shopping Mall located in Quechee Gorge Village. Quechee Gorge State Park is steps away from this popular Woodstock – Quechee Vermont attraction. This is a great place to browse for treasures of the past. Antique hunters will find a variety of dealers and specialty antique in the 17,000 sq foot barn. 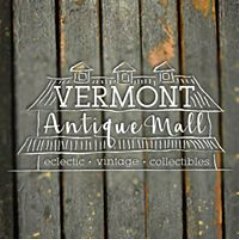 The Vermont Antique Mall features multiple antique dealers and hundreds of booths filled with a vast array of antique, vintage and collectible treasures. From vintage clothing to old tools, toys, and so much more. Located in the heart of Quechee Gorge Village, you’ll find our 17,000 square foot barn filled with antiques, vintage and collectable treasures. Come see the area’s largest selection, with hundreds of dealer booths and new stock daily. Nearby eateries and seasonal events make this a “must see” for all ages. Shop where the dealers shop! Open daily 10am – 5pm.